This last weekend (June 24 – 26) was Hackcon IV, a 350-person conference for hackathon organizers put on by Major Hacking League (MLH). The majority of participants represented college hackathons, and I went to the conference alongside five of my fellow Ohio State students on behalf of OHI/O, the student organization I help organize for back on campus. 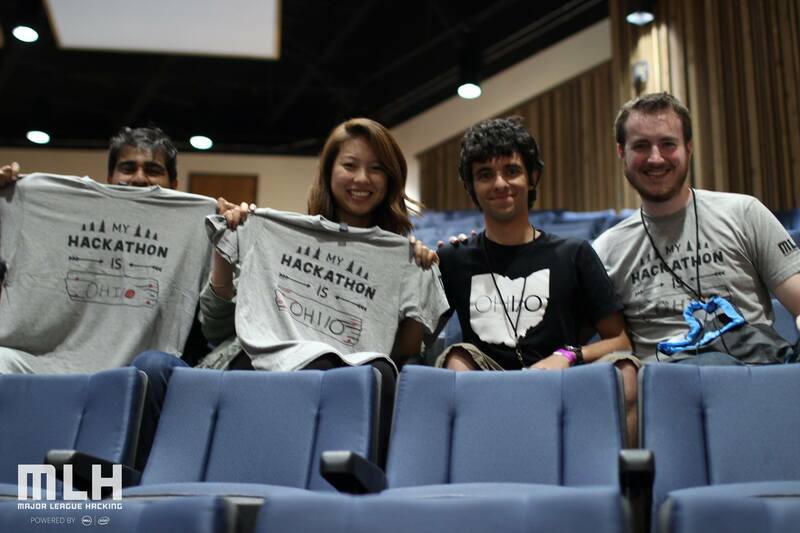 It was an exciting event as this was my first real exposure to hackathon organizers from around the country. 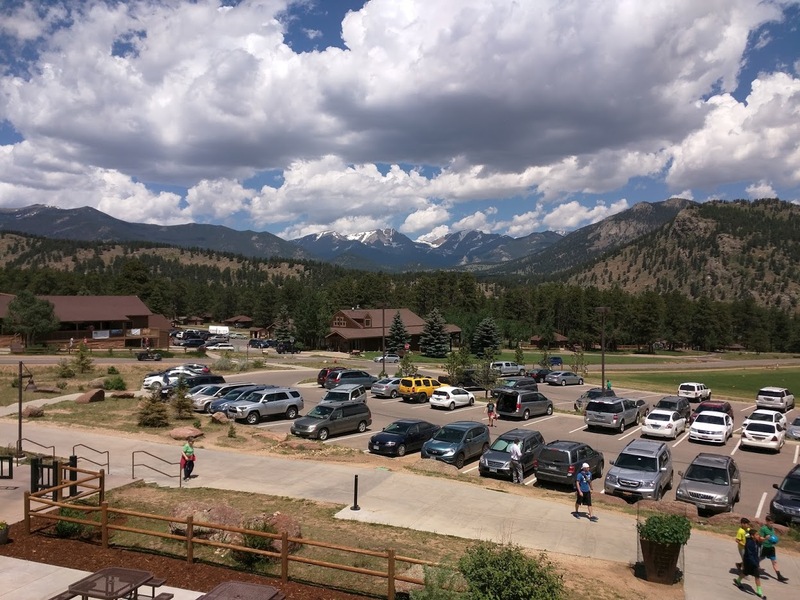 This season’s Hackcon took place at the YMCA of the Rockies in Estes Park, Colorado. The YMCA was nested right in the middle of Rocky Mountain National Park; this was my first time in Colorado and my first time up-close to the Rocky Mountains, so needless to say, the views were breathtaking for me. The conference lasted for three days and was filled with keynotes, presentations, and open discussions. 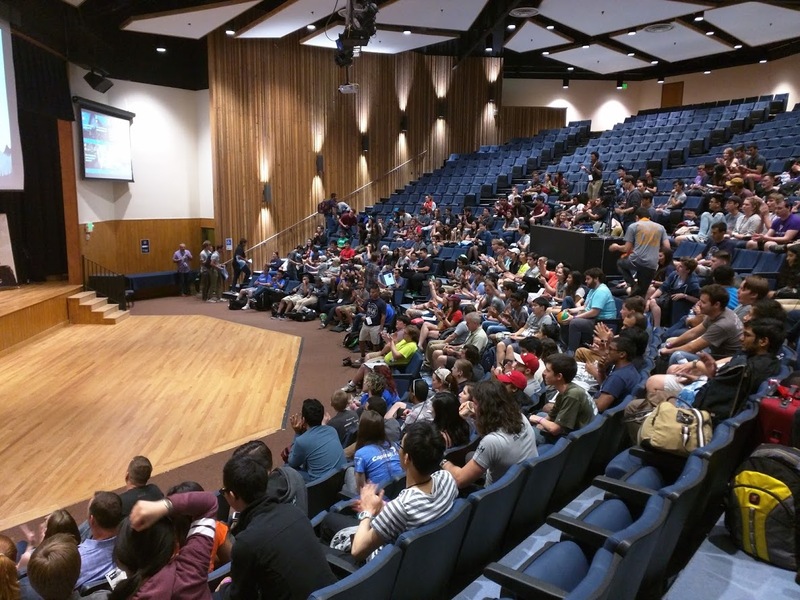 While MLH organizers were heavily involved, these activities also included company representatives, professors, and of course, fellow hackathon organizers. Representatives were present from all the event sponsors: GitHub, Microsoft, a16z, KPCB, Brand Makers, Devpost, and Potbelly Sandwiches. This allowed for great networking opportunities, along with getting a chance to learn from professionals’ experiences and their thoughts on the hackathon scene. And of course, with companies comes “swag” – and for all the hackers there, the goodies were pretty much out of this world. 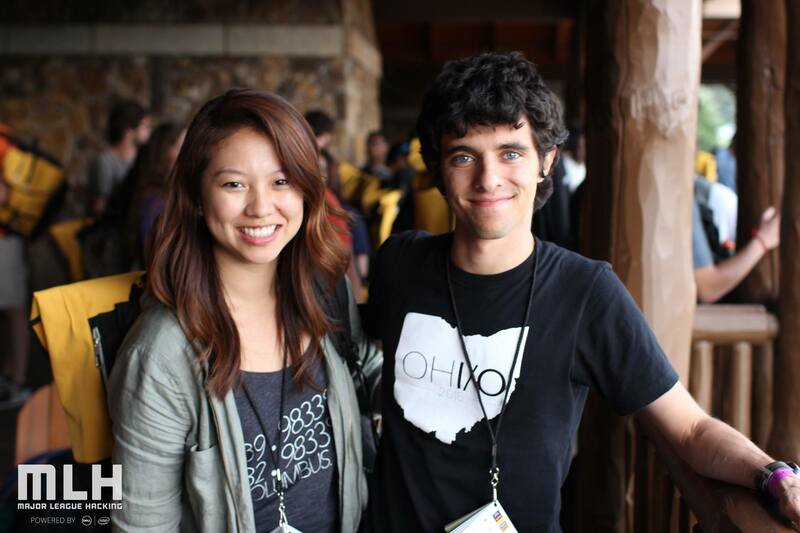 We’re talking yellow GitHub education backpacks, countless stickers, shirts, and more. The auditorium before the kickoff event. Hackers are still trickling in. We had a lot of fun on the side, too. Mornings and evenings included hikes, and we were free to use the YMCA facilities throughout the day. The night was filled with campfire talks, s’mores, board games, and rap battles (good rap battles, too, which was surprising). The whole conference provided a perfect mix of formal events and informal socialization. Photos of me and some of my fellow OHI/O organizers. Photos by Laura Elaine, courtesy of Major League Hacking. The most valuable thing for me was meeting other organizers. Everyone there was a self-selecting individual that was passionate about their respective hackathon program. Not only did the OHI/O team get the chance to learn a lot from the experiences and ideas of other organizers, but we had a great time simply hanging out and being ourselves. I also know OHI/O brought a lot to the table. We all met countless new people who we hope we manage to stay in touch with. Your team is as important as anything else. You should put as much time and effort into building your team, learning about each other, and making sure everyone feels respected and valued as you would organizing the hackathon itself. One of the things I hope our team does a better job of this semester is learning about each other, spending more time together outside of organizing, and making sure we interact in a way that makes everyone feel valued. Most of everything you want to do has been done before. Don’t be afraid to reach out and see how others have done it in the past. Make the event personal. Organizers should go around the room and ask hackers about their projects; not only does it show that people are interested in their project, but it makes the event more personable and provides an opportunity for hackers to practice presenting their project. This not only motivates hackers, but helps boost their confidence to stay at the hackathon all the way through ’til judgement time. I ended the conference on a high note. I learned a lot as a hackathon organizer, and also on a personal level. I also hope I brought a lot to the table for other organizers. Hackcon is definitely something I’d like to attend in the future – and I’ll have to go back to Colorado to keep exploring those Rockies, too.